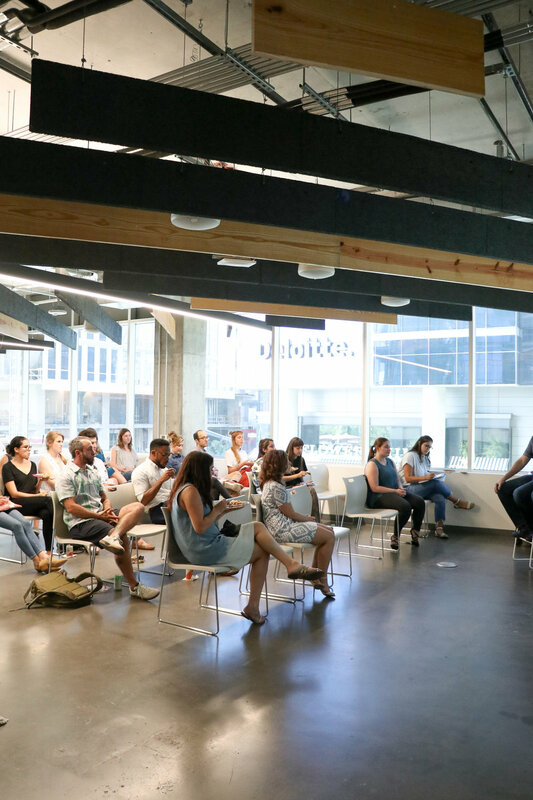 Last week, the Notley Fellows gathered at Galvanize in Downtown Austin and engaged in an electric conversation with Notley cofounder Dan Graham and Gerardo Interiano, Head of Local Market Staffing at Google. Interiano has a long history in politics and is a self-proclaimed tech outsider with a long-standing passion for community work, government relations, and hiring great talent. With his innate abilities to lead and develop creative new approaches, Interiano has been dissecting the hiring processes at Google. He wants to fully understand the traits of the best performers and how to track them with data and metrics, including quantifying traits such as humility. To fundamentally change the hiring process, he is invigorated to find a solution of how to screen the right people into the candidate pool. It’s his mission to unearth candidates that might have traditionally be left out of the process - the ones that possess the soft skills necessary for today’s dynamic business environment. Interiano left the Fellows with a challenge of using a soft-skill both politically and in technology. By integrating empathy into political discussions and problem solving, Interniano believes the largest problems will be slightly easier to tackle. Thank you to Gerardo Interiano for joining us and to Irene’s for fueling the night’s conversation. Stay tuned for the next featured Fellows’ dinner guest next month - Mellie Price, Managing Director at Texas Health CoLab & Executive Director of Commercialization at Dell Medical School. We loved gathering at Galvanize, an urban coworking space that cultivates entrepreneurs, startups, Fortune 1000 companies, and tech professionals in the heart of Downtown Austin. Galvanize is on a mission to make growth and education accessible in underrepresented groups in the tech industry by forging a diverse community of eclectic entrepreneurs, programmers, and industry experts united by common values. Thank you for having us, Galvanize! Galvanize hosted the Notley Fellows for an electric discussion with Gerardo Interiano.